We have many storage options available. Our large, secure storage yard is the perfect place to store your boats, RV's, automobiles and more! Our indoor storage is available in eight different sizes and perfect for household goods, business files and anything else that needs to stay clean and dry while being stored. Moving and packing supplies are also available. What size is right for you? The following is a general example of what size storage unit you may require. All units are drive-up garage style doors at ground level. 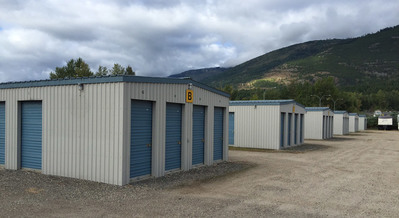 Our storage buildings have 8 foot ceilings, cement floors, drywall ceilings and walls, roll-up doors, interior lights, and steel exterior walls to provide a safe environment from weather and pests. What size is right for you? 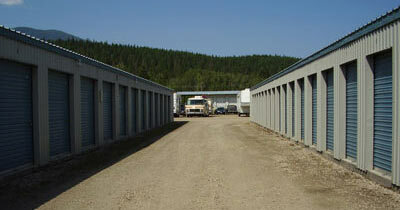 The following provides general guidelines of what size storage unit you may require. All ceilings are 8 feet high, the units all have cement floors, drywall walls and ceilings with roll up doors. All units are drive-up garage style doors at ground level.